The fourth episode of this program was in San Francisco and only featured the project to demolish and replace half of the San Francisco Oakland Bay Bridge, a bridge so historically significant that Historic American Engineering Record described it as one of the most important built structures in the entire country. Impressive anti-earthquake technology in the new replacement bridge was showcased. However it was not shown whether or not this technology could have been adapted to the historic bridge as part of a rehabilitation. Further, the 1989 disaster was described as a bridge collapse which is incorrect. The 1989 disaster, tragic as it was, only involved the collapse of a deck segment. The bridge as a whole stood and did not collapse. Finally, no discussion was offered as to why Caltrans would not commit to preserving a portion of the historic bridge, either in place or in a new location, to mitigate the loss of one of the nation's most important historic bridges. A program appearing on a channel supposedly devoted to History, HistoricBridges.org does not understand why the history of these bridges is not discussed in the program. It was not even mentioned once that the Oakland Bay Bridge was historic. On the May 8th episode, the show did raise an excellent problem that needs to be corrected. Galarnyk and his crew were yelled at and told to leave the site of a gas explosion by a private security guard. This raised two issues. First, it raised the issue about how private security guards do not have the right to force the public to leave public property. Second, it raised the issue that infrastructure belongs to the public and so the public should have the right to inspect it. After watching the second and third episodes it bears mentioning that the show's host's initial comments to HistoricBridges.org that he does care about history did indeed show through in the second episode in his defense of the historic Sixth Street Bridge in Los Angeles as a bridge feasible to preserve. This bridge is currently at risk for demolition and replacement, despite being nearly famous because it seems to end up on television a lot in commercials and such. Pro-preservation thinking was also briefly touched in in these episodes where the very accurate comments were made that replacement is costly and rehabilitation and maintenance are not happening when in many cases they could or should be. In these instances, we are given a glimpse at the potential that this television program has to be a positive, educational force to show the public how to improve our infrastructure, while also not destroying our transportation heritage. At the same time, the program continues to offer a negative-focused look at historic bridges overall, having not showcased historic bridge rehabilitation projects, instead focusing on bridges deemed to be beyond repair, or focusing on bridges slated for replacement. Also, a story about the now-demolished historic South Park Bridge in Seattle condemned the entire bridge on a failing substructure alone. The bridge had a substructure in severe condition, partially caused by the traditional problem of rolling lift bridges placing stressful moving center of gravity on an abutment or pier. However no discussion of the trusses were offered, which more than likely could have been rehabilitated in a cost-effective manner. The trusses could have been floated away to be restored off-site, while also clearing the way for a substructure replacement. This is similar to how the approach spans of the Bridge of Lions was handled. Finally, a comment forum is provided now on the history channel. No one at HistoricBridges.org has contributed to this forum, since our comments are represented here, but you can feel free to express your opinion there. Initial comments on the forum echo some of the same concerns as HistoricBridges.org mentions. Also, their is now an official website for the show including full video of previous episodes. The History Channel's new series called Inspector America (Sundays at 10:00 PM) is a program that looks at problems with America's infrastructure including things such as power generation, underground utilities, and bridges. Because historic bridges are by their nature old, and often in a state of disrepair due to our nation's flawed federal funding system, it was not surprising to see historic bridges make an appearance on the show. The first episode revealed a program that has the potential to demonstrate the need to revise our nation's federal surface transportation so that it focuses on maintenance, repair, and rehabilitation, rather than rewarding deferred maintenance and deterioration with demolition and replacement funds. It is a program that has the potential to show how little-known bridge rehabilitation techniques can reduce the cost of rehabilitation, while also fixing deterioration that might often be written off as beyond repair. It is a program that has the potential to raise awareness of historic bridges and the importance and feasibility of preserving them. The host of the show, Timothy Galarnyk is described as "an independent construction investigator in St. Paul" and who runs a risk management company is the host of a new History Channel series called "Inspector America" You can learn about Galarnyk's experience by reading a personal profile and by viewing his CV. Galarnyk communicated to HistoricBridges.org that he does have an interest in historic bridges and is passionate about raising awareness about how bridges are not being properly maintained and repaired and are suffering from neglect. He also communicated that he has been involved with the preservation of historic bridges including the 3rd Street Bridge in Cannon Falls, MN. The first episode of the show included discussion of three bridges among other infrastructure topics. One of the bridges was a historic bridge, the Stillwater Lift Bridge. The other two bridges were not official historic bridges, but as metal truss bridges, they were a bridge type that often is historic. These two bridges were the ill-fated and incorrectly designed I-35W Bridge and the Lowry Avenue Bridge. Unfortunately, the first episode of the show featured bridges and discussion that leave viewers with the impression that existing bridges, including historic bridges and metal truss bridges, are dangerous, beyond repair, and should be demolished and replaced. There were also some specific comments or presentations in the episode that seemed somewhat misleading in a way that is unhelpful to the interest of encouraging historic bridge preservation. It is hoped that future episodes might instead focus on successful rehabilitation projects with historic bridges, perhaps focusing on a bridge at first thought to be beyond repair that was successfully rehabilitated, perhaps for less than a demolition and replacement cost estimate. One of the other infrastructure topics in the first episode, the use of incinerators to generate power, showcased a power plant that did the job right by not generating odor or pollution. That discussion tended to leave the viewers with a more positive feeling... the knowledge that some incinerators might be polluting and smelly, but that the possibility exists to get the job done the right way. Similarly, a discussion about old and historic bridges that have been rehabilitated might leave viewers with a sense of hope and interest in advocating for preservation, rather than a bad feeling of fear and frustration when focusing on bridge collapses or bridges beyond repair. In the United States of today, where both government and citizens alike faces so many challenges, a program that highlights the positive and the possibilities rather than the problems and the losses might make for a welcome program with an uplifting spirit. HistoricBridges.org also identified several concerns in the first episode of the program. These are discussed below. The episode commented that "there are 72,000 bridges nationwide categorized as structurally deficient and they're still in use." Saying that they are "still in use" makes it sound like it is wrong or unacceptable for a structurally deficient bridge to be in use. While it would be great if there were no structurally deficient bridges in the USA, it also bears noting that it is not bad for a structurally deficient bridge to serve traffic. The audience, which presumably is composed of many people who have no knowledge of what the specialized phrase "structurally deficient" was not informed that bridges that are structurally deficient are not always structurally unsafe or dangerous by definition, but are are often simply bridges with a level of deterioration that could demonstrate a need for either repair, rehabilitation, or replacement. In the discussion of the Stillwater Lift Bridge, the mayor of Stillwater comments that he is concerned that the Stillwater Lift Bridge has a sufficiency rating that is lower than the I-35W Bridge and that is what his concern is. He comments that the I-35W Bridge has a 50% sufficiency rating and the lift bridge has a 32% sufficiency rating. The documentary offers no discussion at all of what a sufficiency rating really is. This implies that sufficiency rating implies the likelihood of a bridge collapse when nothing could be further from the truth. Sufficiency rating is a very complicated and technical concept designed by the Federal Highway Administration. It is so complicated that we at HistoricBridges.org would not even dare attempt to describe exactly what it is. However in summary, the rating combines a variety of factors about a bridge... things like traffic volume against the bridge's roadway width alongside structural condition, alongside other things like the ability of the bridge to allow any water to pass under it efficiently, combining both structural and functional elements to form a single number that is supposed to provide a simple guide to whether or not a bridge is the best that it can be for the crossing involved. The important thing to note is that the structural integrity of the bridge is only a portion of what a sufficiency rating is. If a brand new one-lane bridge were built on a busy two-lane road, and this brand new pier partially obstructed the clear flow of water, it might have a low sufficiency rating the very day it was built, even though it would not have any structural deterioration at all. A chart describing sufficiency rating from the American Association of State Highway and Transportation Officials (AASHTO) is available here. Comparing bridges to the sufficiency rating of the I-35W Bridge does not reveal any useful insight. The Maple Rapids Road Bridge is a bridge which has a deck, superstructure, and substructure described as "failed" in the national bridge inventory, and is so on the verge of collapse that some might wonder how the bridge is still standing. It has a sufficiency rating of 19.5%. In contrast, the Brooklyn Bridge, iconic bridge of New York City, is open to heavy vehicular and pedestrian traffic. As of 2008 the bridge had a sufficiency rating of 0%. In other words, the bridge's sufficiency rating is the lowest possible rating, and is lower than a "failed" bridge that practically defies gravity by not collapsing. It is also worth noting that Sufficiency Rating is not an indication of whether it is possible to rehabilitate a bridge or not. Although bridges with a sufficiency rating below 50% qualify for demolition and replacement funding, New York City has chosen to rehabilitate the Brooklyn Bridge, rather than demolish and replace the "insufficient" bridge. Many bridges with sufficiency ratings below 50% are feasible and prudent to rehabilitate instead of replace. In the inspection of the Stillwater Lift Bridge, the comment is made that the bridge is structurally unsafe and should be closed to traffic. Then, areas of deterioration are pointed out on the bridge. Some areas of deterioration, particularly those on the abutment and piers, do appear to be serious. although without an understanding of reinforcing (if any) inside the piers, it is difficult for HistoricBridges.org to confirm the severity of the pier spalling that is shown. In some cases, bridges with severe concrete deterioration can still be safe and open to traffic. Indeed, Michigan's concrete girders for example are so overbuilt that the load-bearing girders can be removed and the deck itself might still contain enough reinforcing to hold construction equipment, even though doing this is a rather dangerous thing to do. The main reason for pointing this out is for the sake of the general public, who should be aware that just because they see concrete falling off a bridge does not mean the bridge is about to collapse. The key is what the condition and design of the reinforcing within is, which often requires detailed review of original bridge plans. Granted, one can only get so detailed in a hour-long show that is covering so many different things. However for the sake of defending the feasibility of historic metal truss bridge preservation, a few additional observations and comments are needed. For example, deterioration on the end post (called the "main chord" in the show) is discussed as a serious problem, however the only deterioration shown in the pictures is an area of complete section loss on a batten. While this suggests a problem and batten replacement is likely needed, a single batten on an end post is not a critical part of the end post and this can be repaired. Similarly, their was discussion of a lower chord connection's condition on the bridge (called a joint in the program). The pictures shown show some pack rust on an area where a plate appears to be riveted to a floorbeam. Pack rust such as this can be removed, and this deterioration alone would likely not be a serious concern in terms of keeping the bridge open or not, although it is indeed something that needs repair. One thing the documentary did very well in its coverage of the Stillwater Bridge is it accurately discussed the terrible and severe deterioration that winter deicing salt causes on metal bridges. The cost and consequences of salt to bridges on our roads and to the cars we drive on them cannot be understated. It would be great to see this show produce a segment that explores and looks at effective and feasible alternatives to corrosive salt for use in winter deicing operations. Finally, at the end of the episode, the Lowry Avenue Bridge's demolition and replacement project was discussed. The bridge was described misleadingly as a 1905 bridge, when in fact it was a 1958 truss bridge on 1905 piers and abutments. The bridge is described as being in much worse shape than the Stillwater Bridge. However did the whole bridge really need to be destroyed as was shown? Indeed, those 1905 piers do appear to have been in very bad shape based on the national bridge inventory ratings, they probably did need to go. However the 1958 trusses on top were listed as "good" and they came with a generous 40 foot roadway width. The demolition of these truss spans appears to have been a waste of money and resources. These bridges could have been lifted off of their abutments and relocated to a new location for service. There are ways of using barges and supports right out in the water to lift and lower these spans for disassembly and relocation. The individual spans of these bridges would have made great bridges for any number of smaller rural county highway crossings. Instead of replacing some old deteriorated rural county highway bridge with an ugly and costly new bridge, one of these spans could have been put in place instead, saving money and an attractive truss span. With the 40 foot roadway width, the spans would have been more than ample for a rural two-lane road with full shoulder. If such an idea sounds crazy, consider it is being done in Illinois, as well as Michigan on Burroughs Road and Perrine Road. 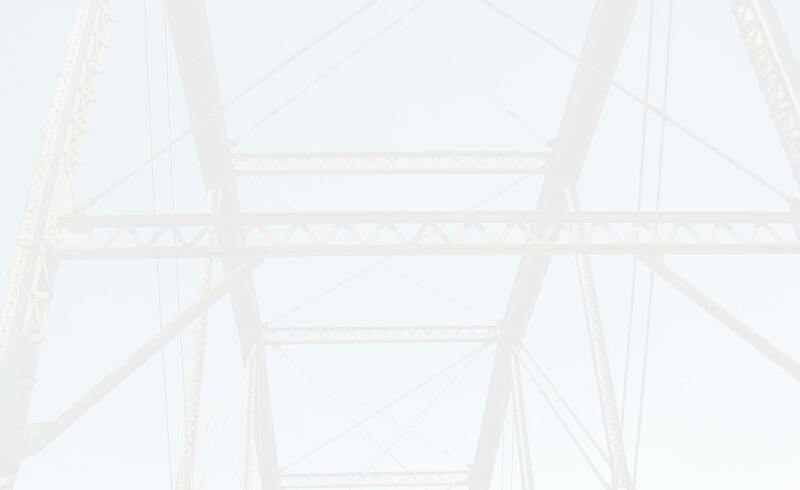 In conclusion, the first episode of Infrastructure America does not seem to have done much to help the cause of historic bridges, since it seemed like it left viewers with negative feelings about metal truss bridges which are so often historic, while not providing any examples of historic metal truss bridges being rehabilitated. It is greatly hoped that future episodes will change the focus to the positive, where a bridge on the brink is given a second chance at life. The Congress Parkway Bridge in Chicago would be a great place to start.